A statement of an anonymous DUI functionary given to a newspaper close to the party of Prime Minister Nikola Gruevski caused severe reactions in the Albanian opposition factor. According to what was published by that media, DUI proposed that Zoran Zaev (leader of the Macedonian opposition) gets into his coalition the new Albanian political initiatives such as BESA Movement, Reformatory Movement in DPA and the National Democratic Revival (RDK). This statement by DUI in the style “throw the rocks and hide your hands” aims to strike in two aspects: the first is the testimony of loyalty towards Gruevski VMRO-DPNE, and the second aspect aims to characterize the new initiatives as minor subjects, which must have a center of political gravity if they want to have a role in the Macedonian political scene. DUI’s loyalty towards VMRO-DPMNE will be tested every day now since the political space of this party to play two cards has been greatly narrowed: they want to hold up with Gruevski all the way to the end but at the same time they want to help Zaev come to power provided that DUI would have a secure place in the government. The publication by Zaev of several corruptive affairs of DUI officials seems to have decreased the chances of a potential cooperation between SDSM and DUI. Meanwhile, the new political initiatives which are striving to consolidate a substantial Albanian opposition pose a risk to finally de-legitimize DUI in the next elections, which would imply a long and painful opposition for Ali Ahmeti’s political party. If we were to look back in 2002, when DUI had just been formed as a party of the Albanian NLA guerrillas, we will find a different reality. Ahmeti was delivering messages via a newspaper close to SDSM, thus preparing the ground for sharing power in a government with this political party. 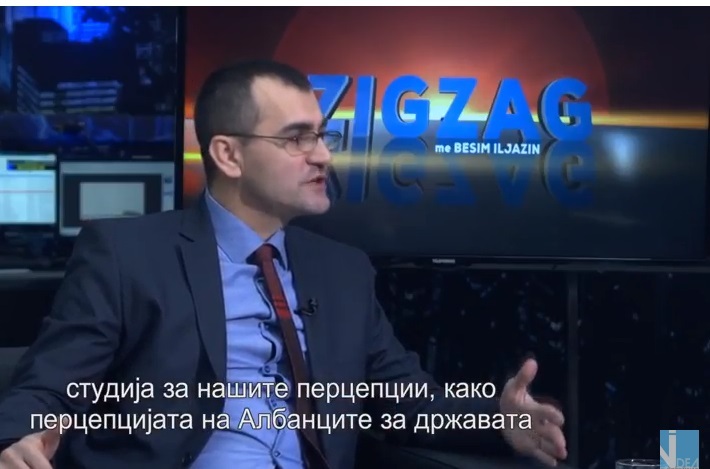 He then stated that he belongs to the left wing political provenience, same as SDSM, while trying to harm VMRO DPMNE by any means, such as publishing the alleged offers for separation of Macedonia which were allegedly refused by Ahmeti. By self-defining as a left wing politician, Ahmeti assured partnership with the SDSM leader of the time Branko Cervenkovski, whom he was witnessing loyalty by striking VMRO DPMNE. 2006 was a key year for the Albanian parties DUI and DPA. This is the exact station of their political journey which displayed their real lust for power by any means, and the false promotion of their platforms through a fiery nationalistic rhetoric. 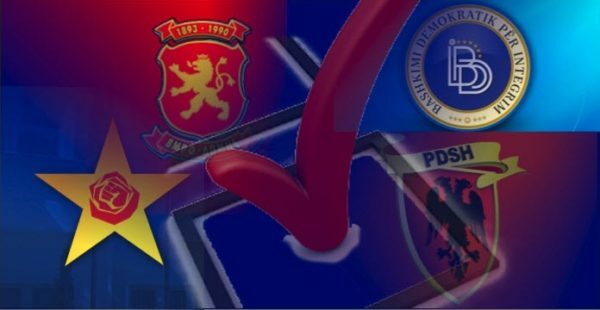 The parliamentary elections of this year were won by the Macedonian right wing VMRO-DPMNE which had maintained a line of cooperation and partnership with the Albanian right wing DPA. Such results surprised DUI, which was found in animosity with Gruevski’s party. 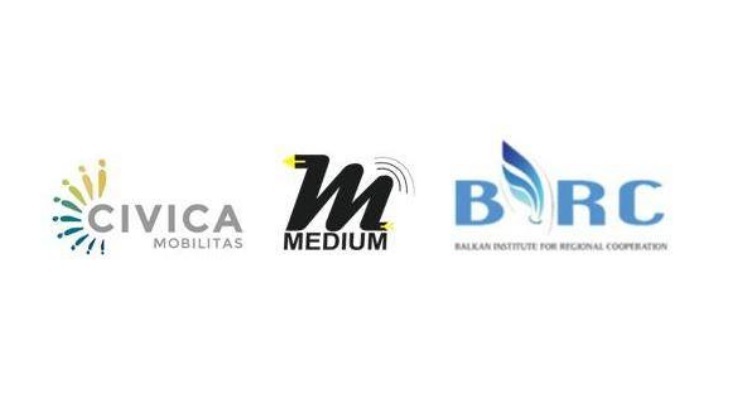 DUI’s persistence that the winner of the elections among Macedonian voters should coalition with the winner among the Albanian voters in one side, and DPA’s persistence that such coalition must be ideological (of the right wing parties), gave space to VMRO to conduct parallel negotiations with both parties mandated by Albanian voters for them to meet the pre-election platforms. This situation and the struggle for power devaluated and exposed Albanian parties, thus the public opinion clearly understood that the power was DUI’s and DPA’s only goal, rather than a tool for realizing the proclaimed goals – the party platform. 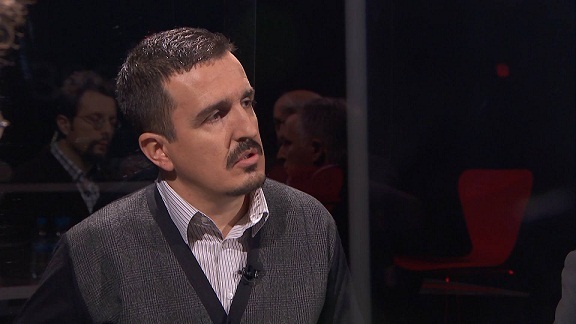 To make a step forward towards alignment with VMRO, Ahmeti stated from his headquarters in Reçica that the parties in Macedonia are not clearly profiled as left or right wing parties, in reference to the defining statement he had made four years before, when he was self declared as a left wing politician. This retrospective reveals some serious defects of the politics and democracy among the Albanians in Macedonia, which require a serious approach in order to overcome such defects, not only by the new political parties, but also by intellectuals, civil society and all the Albanian citizens who seek a brighter future in Macedonia. The first defect is the understanding of politics as a way of power to establish, control or conduct racketeering on businesses, without being held as accountable for the promises, and the party platforms and programs. The second defect is coming to power as a business partner, not as a party that has to meet thousands of voters’ expectations, and a political will and legitimacy to serve. The third defect is the manipulation of public opinion of Albanians in Macedonia with great nationalistic agendas which often sow hatred and impatience which is often followed by constant destabilization for suspicious interests. The fourth defects is the lack and promotion of a real-politics offer which would represent a direct link between the party platform and the real needs of the Albanian as a human being, rather than as a collective body. And, the fifth defect is the servility prism of understanding democracy by a substantial part of the Albanian voting body which, alike politicians they elect, they see the elections as an opportunity of a very concrete and individual benefit. Defining the human needs of Albanians and their relation to the political action is a philosophy that has been missing, and it is continuously viewed with pessimism by the new Albanian political movements. 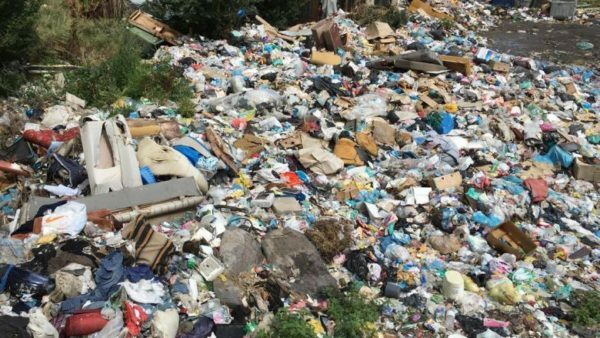 The lack of real-politics as a political acting philosophy among the Albanians in Macedonia has brought about consequences which now are visible and tangible. According to a credible investigation, from 2006 onwards 143,000 Albanians from Macedonia have fled their homeland and moved abroad. Well, an entire city. Reason: unemployment, ruined education and healthcare, lack of perspective, nepotism, ruined and robbed institutions, politicization of all segments of life, corruption, party selfishness and political tribes, trading the will or the legitimacy earned in elections and lack of perspective in the country. The politics of major ideologies and causes, of the ghettoization and conservation, placed in pathetical abstract dimensions, needs to be replaced by real, concrete and pragmatic politics. Its focus must be the human, or the Albanian as a human being that whom laws and conventions guarantee the right to foster cultural, ethnical and religious identity, as well as the right to employment, good living standard, good education and healthcare, modern agriculture and livestock, developed economy in a country where peace and security will be guaranteed by NATO and EU. To put it in a more figurative way, the conditions inside the school are more important than the name a school bears. 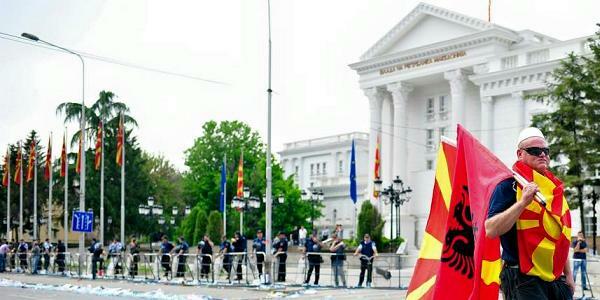 If this political philosophy is imposed to Albanians, then the Macedonian nationalism will have no extreme to feed. The functioning of politics on the principles of the actual needs of the citizens of Macedonia and the obligations of the state towards them as taxpayers would displace the open interethnic issues in a more clear political dimension, where their solution would be easier as it would be seen from a practical and pragmatic point of view, rather than the ideological one. Only with such a realignment of political factors will Macedonia be able to transform into a state with a functional democracy of citizens equal in all aspects. The first step towards installation of such political philosophy is precisely the pre-election coalitions between Macedonian and Albanian political parties, agreed upon the principles of program affinities, and preliminary agreements on the leadership of the state. Next articleЖЕНИТЕ ВО ЈАВНИОТ ЖИВОТ, ЕДНА СЛИКА СО МНОГУ НЕДОСТАТОЦИ! Xhelal Neziri is experienced investigative reporter and analyst. Since 2008 he has been representing Danish SCOOP project in Macedonia, coordinating national and trans-national investigative stories.